CONGRATULATIONS GO TO Mo Farah on a ridiculously good run to retain his Olympic 10,000m title in Rio de Janeiro. Mo actually hit the ground after being accidentally tripped, picked himself up, controlled the race and won it in style and with absolute class and qualty. With a few hundred metres to go the experienced Brendan Foster commentating, was urging Mo not to look around over his shoulder at the possible threat from the runner in third place but rather concentrate on the man leading him in first place. Mo kept a cool head however, trusted his great ability and reeled the leader in, in classic style to finish a comfortable winner. There were emotional scenes for Mo afterwards, understandably, as he was obviously recounted in his mind the long hours away from his family whilst training. 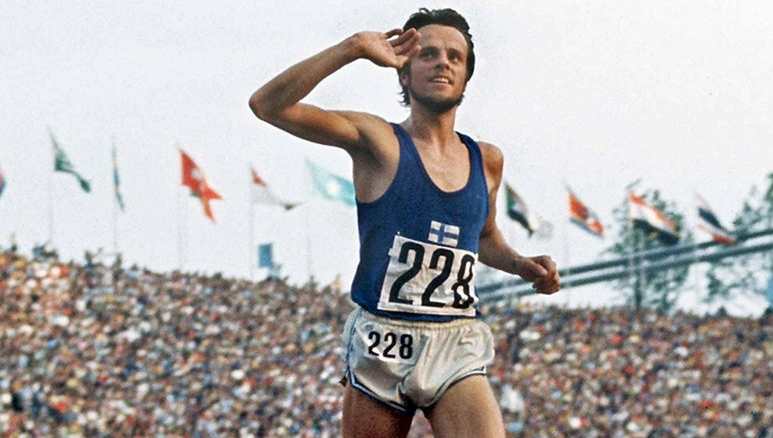 His performance reminded me of my own middle distance hero, the ‘Flying Finn’ Lasse Viren who fell in the same 10,000 metre event in the Munich Olympics in 1972. Lasse defeated Australian, Ron Clarke’s seven year-old world record although falling heavily during the twelfth lap when getting tangled up with Belgian, Emiel Puttemans. Mohamed Gammoudi additionally fell over Lasse’s legs during the incident. In under 150 metres, Virén raced back up to the leaders however, after losing approximately 20 metres to them. With around 600 metres left, Virén initiated an amazing and totally unprecedented one-and-a-half lap ‘kick’ that only Puttemans could respond meaningfully to. 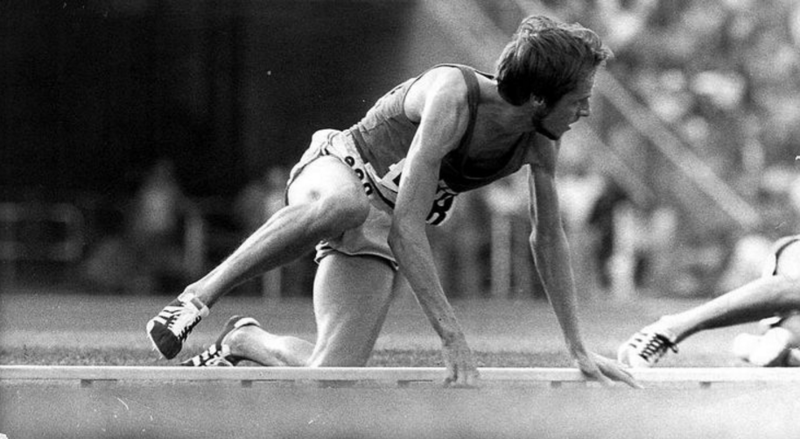 The great Lasse Viren ran through the tape to win the classic event in 27:38:40, still the record for the Olympiastadion München forty-four years later.